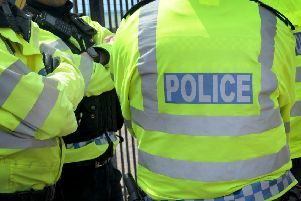 Six people have been arrested after police raided several properties in Horsham. Police said officers executed drug warrants at three addresses in the town on Wednesday (January 17). Two flats in Arthur Road were raided. Police said a 37-year-old man was arrested on suspicion of possession of heroin. A Satnav and an Ipod suspected of having been stolen were also seized. A 56-year-old man was arrested on suspicion of possession of cocaine with intent to supply. Several hundred pounds in cash was also seized as well as a car parked outside. Both men received a police caution for the drug offences, officers added. Later that day a flat in Dukes Square was also raided. Police said a 42-year-old woman, and three men - aged 48, 30 and 26 - were arrested on suspicion of being concerned in the supply of Class A drugs. Several thousand pounds in cash and a small quantity of drugs were seized. The four were later released under investigation, and enquiries continue, officers added. Anyone with any information about drugs offences can contact Sussex Police online or by calling 101.